Kontur Konferens' central conference booking - quick access to all venues in Stockholm! Unique and tranquil setting for the small-scale day conference. Enjoy our personal approach! Newly renovated and modern conference rooms for meetings in a inspiring environment in Stockholm City! Reaching out to all the interesting meeting facilities, congress centers and conference hotels in Stockholm - and collecting information about availability, costs, etc. is a time-consuming job. The pricing of one and the same venue can also vary significantly from one week to another. More than 1,000 Swedish conference facilities participate in our conference reservation network. Only in the Stockholm area it includes close to 300 hotels, mansions, castles, conference facilities and venues for congress, parties and events. By utilizing our free service, you quickly reach all the interesting options. You give us the conditions and criteria - we "scan” the market. You get a clear procurement basis in the form of unified quotes with a combined cost overview so you always compare "apples with apples". Our online service gives you unique simplicity and efficiency. However, we are not only "digital" but always available by phone and email for advice, recommendations and tips. The conference market in Stockholm offers great variety. If you are in good time with the planning of your conference, it's only your creativity that sets the limit for how successful the conference can be. But it is not only the supply of conference facilities in Stockholm is big, so is demand. Book a conference in Stockholm with good advancement! With too short planning horizons it may be difficult to find a really suitable conference facility that has available capacity on your dates. If the dates are locked and the group is over 100 people, you should actively seek the appropriate facility at least four months before - preferably half a year. If conference participants are significantly more than 100 or looking for more unique modes and characters at the resort, it is best to start the process nine to twelve months before the conference is to take place. Here at the Stockholm section of ConferenceSweden.com you will find hundreds of conference options in Stockholm and surroundings: from major conference hotels, purposeful training facilities, high-tech venues, conference halls, conference centers and convention centers. Here you will find alternatives throughout the Stockholm region for your conference - from Arlanda in the north to Nynashamn in the south. The presentation also contains an image gallery which generally includes public spaces, guest rooms, conference rooms, restaurants and other facilities. Below is a summary of really good facilities located in Stockholm. 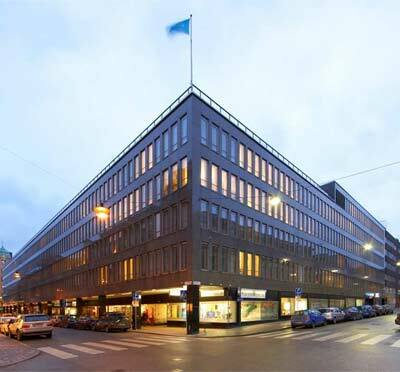 City - Central, Vasagatan: Within 5 to 10 minutes walk from the Central Station there are several facilities - partly hotel and day conference facilities. Adjacent to the Central Station is the Radisson Blu Waterfront Hotel with the Stockholm Waterfront Congress Center. This is a very large, relatively newly built hotel. The Congress Hall's largest hall has capacity for events with up to 3,000 participants. Adjacent (2 minute walk) is also the sister hotel Radisson Blu Royal Viking Hotel. Accommodation bookings can be coordinated between these two hotels. In the same neighborhood, the World Trade Center also has excellent, flexible premises suitable for both conferences and dinners and events. Two minutes walk north of Vasagatan, you will find modern and bright conference rooms at 7A Centralen. An estimated facility suitable for groups of up to 100 people. Close to the neighborhood are also the hotels Nordic C and Nordic Light. Both of these hotels have the highest freshness and excellent meeting rooms. In Nordic C is one of Stockholm's most famous bars - ICEBAR. Opposite Vasagatan is Central Hotel which, apart from accommodation, offers conference rooms for the smaller groups, suitable for meetings such as board meetings. Two minutes away, on the street Bryggargatan, is Freys Hotel, a nice hotel with design touch and conference rooms with space for up to 50 people. A little further north along Vasagatan is the Norra Bantorget square and here is one of Stockholm's largest hotels, the Clarion Hotel Sign. The hotel has 558 guest rooms and conference facilities where the largest unit accommodates up to 700 participants. On the roof of the hotel there is a bar, outdoor pool and relax with spectacular views of central Stockholm. On the opposite side, straight "over" Norra Bantorget boasts Stockholm CCC, one of the city's largest conference centers with more than 50 meeting rooms in different sizes. Many choose to conference on "CCC" and stay at Clarion Sign - a smooth solution. 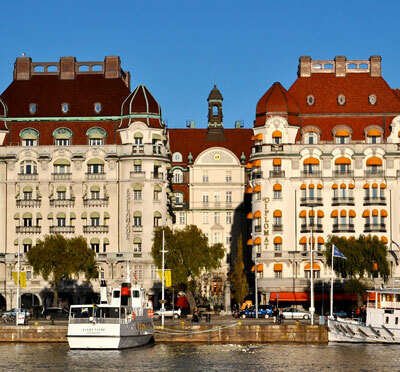 5 minutes walk south of the Central Station is the Sheraton Stockholm Hotel. Here you will find elegant conference rooms with corner rooms that provide stunning views of Lake Malaren and the City Hall. At the top of one of the "Hotorgsskraporna" – Hay Market Sky Scrapers - you can meet with magnificent views of Stockholm's central parts - at Helio Hitech. This establishment is trendy and offers 10 conference rooms, the largest for up to 80 people and a restaurant with capacity for 100 people. The Miss Clara Hotel located on Sveavagen and offers a modern boutique hotel. Excellent conference rooms for up to groups of 40 people, striking design and a highly rated restaurant has made this hotel a favorite amongst conference delegates. Hotel Kung Carl is located on Birger Jarlsgatan, near Stureplan. This classical hotel offers elegant interiors with individually thoughtfully decorated hotel rooms and refurbished conference rooms. The Nalen - the magnificent "dance palace" has been a conference center for many years. Central location on the Regeringsgatan (the Government Street and professional, committed service characterizes this conference facility. If the group wishes to have a complete venue exclusively, Sturebadet's Penthouse is definitely an option. It offers exclusive access to a storey with lounge areas, boardroom which can alternatively be used as a dining room as well as a beautiful conference room that seats about 40 people. In addition, the group has access to a roof terrace outdoors. Elite Hotel Stockholm Plaza is housed in a beautiful 19th-century building on Birger Jarlsgatan, just north of Stureplan. The hotel has Elite´s classic city hotel feel. There are 143 rooms and 3 conference rooms, the largest with seating for up to 40 participants. 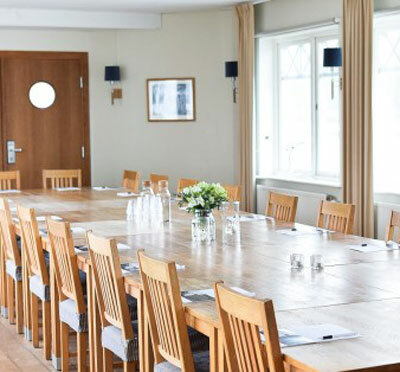 Near Stureplan, more specifically at Engelbrektsplan, overlooking the lush Humlegården, you will find Helio T-House, whose high-class palace-like interior offers room for conference groups of up to 60 participants. Finlandshuset, the Finland House, also this 5-minute walk to Stureplan, is very popular and is considered an affordable city option. 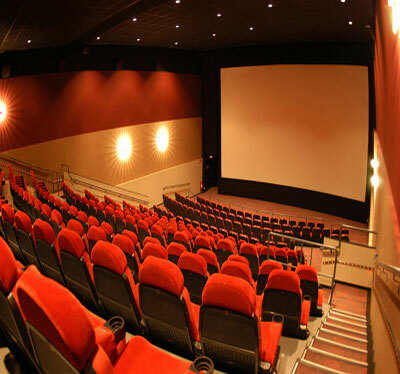 Here is seating for up to 200 participants in the cinema. An excellent alternative for conference accommodation along Norrtull is First Hotel Norrtull. Easy and quick to get by car, the hotel is right next to the E4 and parking garage is under the building. The Wenner-Gren Center offers modern ground floor conference rooms and elegant areas in the top two floors of this tall building, with magnificent views over large parts of Stockholm, suitable for day conferences, dinner meetings and boardmeeting. Opposite Sveavagen (more specifically Sveavagen 143) is O'Learys Stockholm Norrtull Event Center. A solid, welcoming pub environment combines with a meeting room and a large restaurant. The facility offers a wide range of activities, perfect for the business group that combines conference with, for example, an exciting “five-match”. Just at Norrtull lies the famous Stallmastaregården. The facility is located on the slope down towards Brunnsviken. In addition to 49 nice hotel rooms and 8 conference rooms, there is a appreciated high class restaurant. To the north lies the Haga Forum - an elegant modern-style venue with opportunities for kick off, dinner and conference for parties up to 200 people. On Vanadisvagen is the Best Western Plus Time Hotel. The hotel has close to 150 guest rooms. 7A Odenplan is a large meeting center in the middle of Odenplan. With 20 different conference rooms in different sizes, this facility provides flexibility. The largest room seats 350 people in theater style. 7A Odenplan receives constant high ratings from our customers. on Norrtullsgatan is a musty place, perfect for dining with entertainment. The style is "classically elegant". 7A Strandvägen is a facility with a true sense of classical Ostermalms apartment. Many of the conference rooms have windows facing the waterfront by Strandvagen and Nybroviken. Consistent high quality feel. The premises of 7A Strandvägen, with its experienced staff and service offering makes this venue very suitable also for arbitration. If the group stays overnight, Hotel Diplomat next door to Strandvagen 7A is a very good choice. The hotel is refurbished by elegance and quality. On the ground floor is a nice restaurant and bar - T Bar. The Business House (Naringslivets Hus) on Storgatan (near Ostermalms Torg) is a large and professional facility with a wide range of meeting rooms, all individually and uniquely designed. 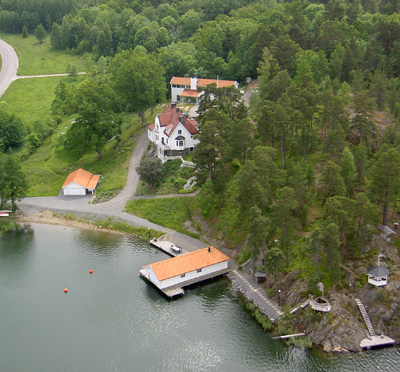 The Garnisonen at Karlavägen 100, offers premises suitable for training, conferences and lectures. At Gardet is the reasonably priced Biz Apartments. In addition to conference rooms, there are hotel rooms and apartments available for stays during longer periods. The apartments also create the possibility of cost-effective multi-bed residents. Helio GT30 - Grev Turegatan 30 - is completely remodeled. The designed interior leaves no unconcerned - on the contrary, this creates the best prerequisite for creativity. In 2016, Sturegatan 15 opened a developed, inspiring meeting environment for small and medium-sized groups. A higly appreciated restaurant is part of the facility. One of Stockholm's largest conference hotels is Clarion Hotel Stockholm, located on Ringvagen. The hotel has a wide range of conference rooms and facilities such as spa. Here, both small and really big groups fit. Parking spaces are available while connection to public transport is well catered for. 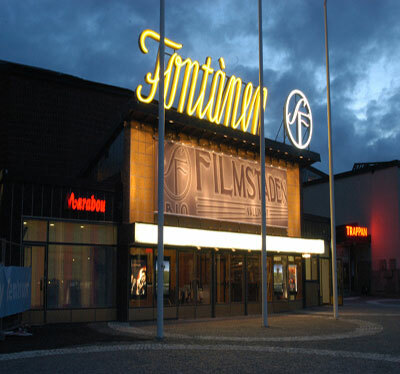 Hotel Rival at Mariatorget houses a cinema with a seat capacity for 700 persons, and smaller conference rooms of varying size, the largest with capacity for 85 participants. There is also a nice restaurant with bar. Hilton Stockholm Slussen - International hotel in Swedish vintage. High-class accommodation and modern conference facilities. Very good customer reviews. Beautiful location, central! Helio Sodermalm is a "design facility" with an inspiring environment that gets creativity and ideas to flow freely. This venue is located on Horntullsgatan, a stone's throw from Hornstull. Saturnus - functional, affordable conference room with easy access to Sodermalm. For the really big conferences, major business deals and events The Munich Brewery (Munchenbryggeriet) premises is a given option. With its exquisite location on Soder Malarstrand and high flexibility, this facility can provide overall solutions for large events. Accommodation is organized at neighboring hotels. Elite Hotel Marina Tower offers pole position next to Stockholm's Strom (the Baltic Sea). The hotel has a lot of fashionable interiors in terms of lounges, hotel rooms and conference facilities as well as a high class spa. Vastgotagatan 5 has rooms suitable for day conferences such as education and lectures. The facility is also easily accessible for participants who travel by public transport. In Hammarby Sjostad, Park Inn by Radisson Hammarby Sjostad is a modern, affordable hotel with conference facilities for small groups (max 45 people). What criteria are the most important to your conference in Stockholm? The choice is based on the size of your conference and the type of program that is planned. The location is also high among the criteria. Is it important that conference participants can come to the meeting conveniently with public transport? The situation can also be related to the setting of the event. In Stockholm there are several conference facilities located beside water, on quays and beaches. Many of these can be arranged so that the group arrives or departs in a boat - or perhaps enlist the arrangement with a boat-borne dinner excursion. Not least important is finding facilities with a style that matches the character of the conference. Does it fit most with creative design, 60's, ultra-modern or perhaps classic elegance? The rich cultural heritage makes Stockholm an ideal place to combine the meeting with conference activities for the participants. Why not arrange a city orientation where the team members are tasked with locating places, performing tasks and collecting answers to clear questions.